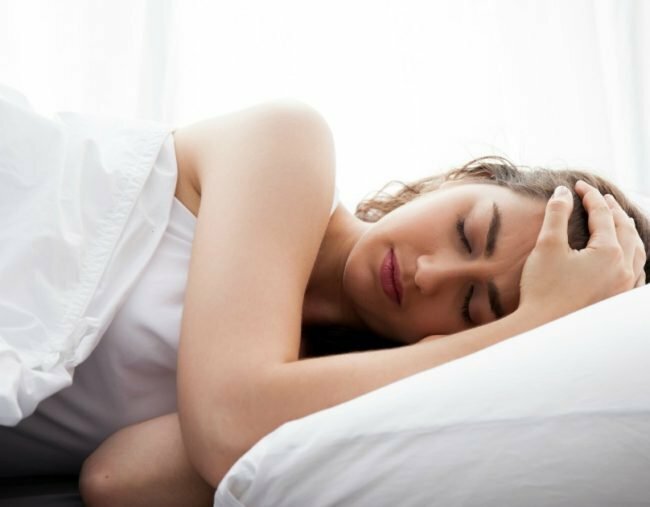 Are you grinding your teeth while sleeping? Here's how to find out. Question: Are there any tested, proven treatments for grinding and clenching my teeth while asleep? We talk about “gritted teeth” when someone’s determined, furious, or perhaps resigned to a course of action they’re not too happy about it. Those with the teeth grinding or clenching habit — known as bruxism — do have a bit to be unhappy about. It can be a pain (literally), make noises that keep your partner awake, lead to strange lumps growing in your gums, and be a costly dental problem. Dentists call those who do this with their teeth “bruxers” and there are actually two classes: those who grind and clench while they’re awake (awake bruxers), and those who do it when they’re asleep (sleep bruxers). We’re all likely to have episodes of teeth grinding at some point in our lives, says Professor Christopher Peck, Dean of Dentistry at the University of Sydney. But ongoing bruxism affects roughly one in 10 people. And it seems those who practise this assault on their pearly whites when they’re asleep are more common than those who grind and clench when they go about their daily life. Bruxers can experience jaw pain and tension because of the force the grinding applies to the jaw, and the discomfort may also spread to nearby parts of the body, producing neck pain or headaches. Most people who grind their teeth only occasionally will never realise they do it. It’s usually only those who habitually grind and develop symptoms who tend to twig something is wrong. If it continues long enough, teeth grinders can wear down their teeth, damaging them and removing protective enamel. And in severe cases, bruxers can lose a tooth. “Absolutely, it is possible to crack or even lose teeth,” Professor Peck said. Teeth grinding can also cause weird-looking bony growths to grow around your bottom teeth — known as tori mandibularis. While these peculiar growths are in themselves harmless, some dentists recommend removing them as they may damage surrounding nerve tissue. They also make fitting mouthguards or dentures more difficult. The growths can be a response to the loading of stress on teeth, but are also seen in people who don’t grind their teeth, Professor Peck says. How can you tell if you’re grinding your teeth? For people who grind or clench their teeth when they’re awake, it can be a subconscious habit, but they’ll usually begin to recognise it once it’s pointed out. Sleep bruxism can be trickier to diagnose, and often it will be a sleep partner who first points out the problem, Professor Peck says. After all, grinding and scraping noises aren’t the most restful sounds to have emanating from the body next to you. Bruxers may also notice jaw pain or tension when they first wake up. Dentists may spot teeth wear in a check-up, which can indicate bruxism. That’s what happened to Louisa, who was alarmed when her dentist pointed out there would likely be long-term impacts if she didn’t do something to stop it. “They think all my teeth will end up cracking,” she said. It’s commonly thought stress drives all forms of bruxism. But in fact, the association between being uptight (or concentrating hard) and teeth grinding is clearer for those who grind when awake than for those who display the habit during sleep. For sleep bruxers, there appears to be links with stress, smoking and lack of sleep but “we can’t say with certainty”, Professor Peck says. Anxiety, heavy alcohol use, and sleep disorders like sleep apnoea are also believed to be associated with sleep bruxism. Some antidepressants can also cause bruxism, though it still isn’t clear why this happens. Once it was thought sleep bruxism was caused by teeth that don’t align properly or interfere with one another, but the experts say that’s not the case. This idea “caught on” in clinical practice, with many dentists believing correcting the alignment would solve the problem, says University of Sydney Professor of Prosthodontics, Iven Klineberg. But we now know “there’s absolutely no association” between the way someone’s teeth are aligned and them starting the grinding habit or maintaining it. The good news is research is ongoing and imaging techniques like MRI scans are promising to reveal more about what’s going on in our brains and the links with bruxism. “We don’t know all the answers but we certainly have our ways of managing the problem,” Professor Klineberg said. If you think you grind your teeth, the first step is to see a dentist, who’ll check your symptoms. Treatment is typically a two-pronged approach. The dentist may prepare an “occlusal splint” — a plastic moulded mouthguard — that fits over your teeth while you sleep to protect them from the effects of grinding. “It doesn’t stop the pattern in a permanent way, it’s not a treatment. It just affects the symptoms, but that in itself is a great asset,” Dr Klineberg said. Louisa isn’t a fan of her mouthguard though. She finds it uncomfortable and it wakes her up. And once she’s put it in, it’s hard to talk. If you’re stressed out, counselling or stress-management services may be recommended to treat the underlying drivers of the bruxism. While there’s fairly good evidence talking therapies and behavioural strategies like relaxation or medication can help reduce feelings of pressure and worry, stress is a complex beast stress affected by many factors and results are never guaranteed. So if it’s “tested” or “proven” cures you’re after, you might be disappointed. There’s really only anecdotal evidence, Professor Peck says. There are some trials underway exploring psychological management and its effects on bruxism. There have also been trials of medication and biofeedback monitors to treat bruxism, but the evidence for their effectiveness is weak. “In any case, managing psychological issues is worthwhile for health and wellbeing, and consequently may indeed help with bruxism,” Professor Peck said.